It went from spring race to almost a summer race. Re-scheduling the race all the time because of the bad weather but in the end we got small but very challenging task with only 60 km but with all the spices of a big race. 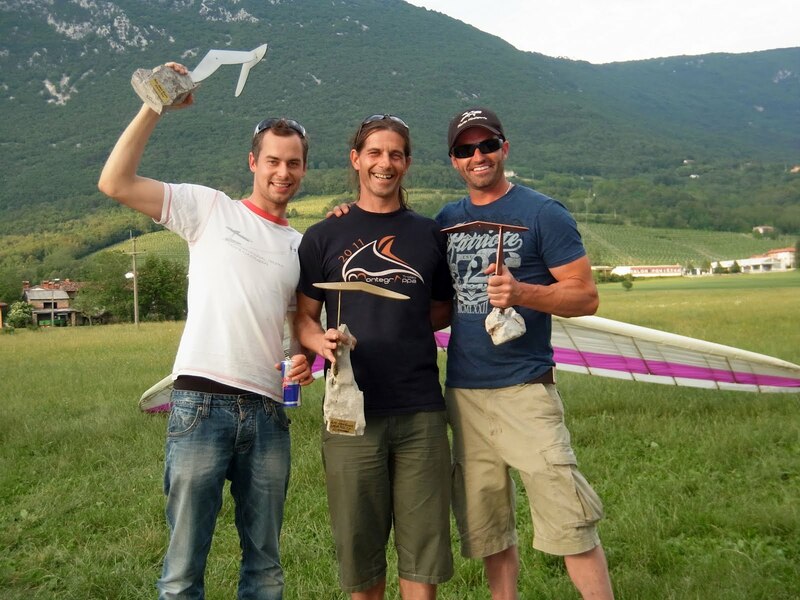 Alpe Adria race is organised by my friend Davide and is a one day unofficial race that brings together pilots from the region. Well, this time we had exclusive guests from Australia. Dave and Kathryn came to visit us on their road trip searching for a flying weather. The task was set on only 60 km just in the Gorica region as we had some N wind on top. Clouds where making a lot of shade but as me and Alan took of as first ones we got up to 2400m. This was enough to glide over 3 turnpoints :D Alan started 300 m above me which made him fly over the most important part where I already put my landing gear out. I said I need to try it over the trees near landing where we normally see seagulls thermaling up and yes, I did :D I think this was lowest save in Slovenia I ever had. Kathryn, Arturo and two others joined me after few minutes and I thought all the lead is lost but as we went on I saw they had to peak last turnpoint where I was already going on with the course. All in all, 60 km with everything you need to have an interesting task. Alan won the day ahead of me with Dave from Australia coming in third and last from people who made goal. Now, I am waiting for some weather change for Austria open. Lets hope for the best.